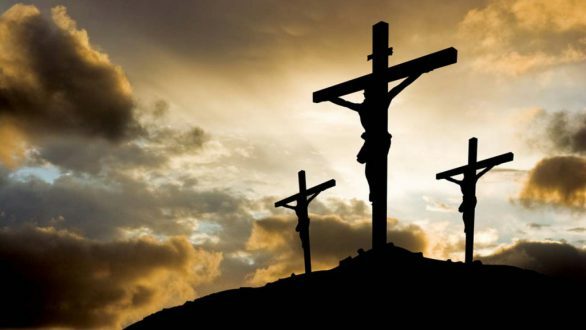 This Sunday begins Holy Week, a time within the Church when we pause and recount Jesus’ life, passion, death, and resurrection as a way to become spiritually renewed. As we walk through Christ’s journey through the readings at mass this coming week, we are reminded that Christ was both fully human and divine, and while we will never be able to fully grasp what Jesus went through during his last few hours on Earth, we know that because of his suffering, death, and resurrection into Heaven, we all have a chance for eternal life with God. As many of us can attest, it is sometimes difficult to set aside time for prayer and even adequate reflection of where we are in our own spiritual journeys toward gaining a stronger relationship with God. We are called to a prayerful life, one that removes us from the distractions we are faced with each day. Over the next seven days, allow yourself to spend some quiet time in prayer and be open to the conversation that God is willing to have with you. Know that God is always present and willing to provide the answers we seek. All we have to do is set aside the time to listen and allow God to talk to us. Oftentimes, we do too much talking, asking God for things we need. It helps to remember that during our dialogue with God, we need to stop and listen to him as well. 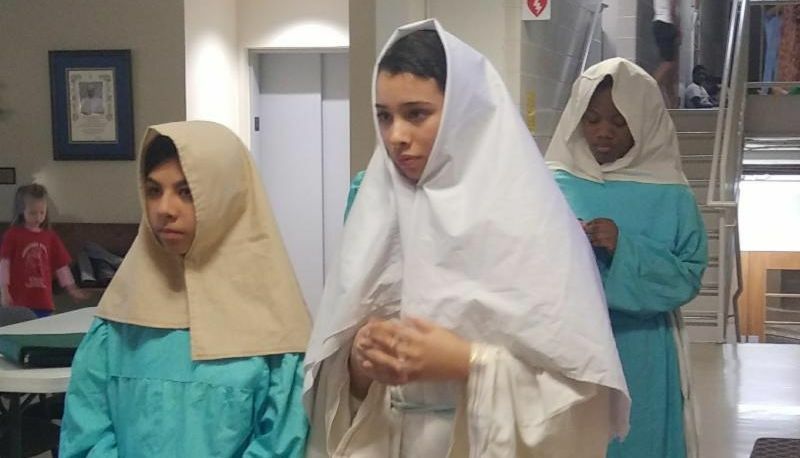 Next week we will begin each of the first four days of Holy Week with a communal prayer in the classroom, and then on Good Friday, our students will offer a few hours of working in silence as a small sacrifice to our Lord. Finally, as reminder to our families, about a month ago our students received their Lenten mission boxes. Money collected from these boxes will once again go to help the Holy Childhood Association. We will collect these boxes on April 18th, but students may bring them in to school anytime next week. Next Wednesday, April 17th, there will be an 8 th Grade Parent meeting in the school cafeteria beginning at 6:00 p.m. We will review items of note for the 8 th grade class trip, the class picture, final exams, and graduation information. 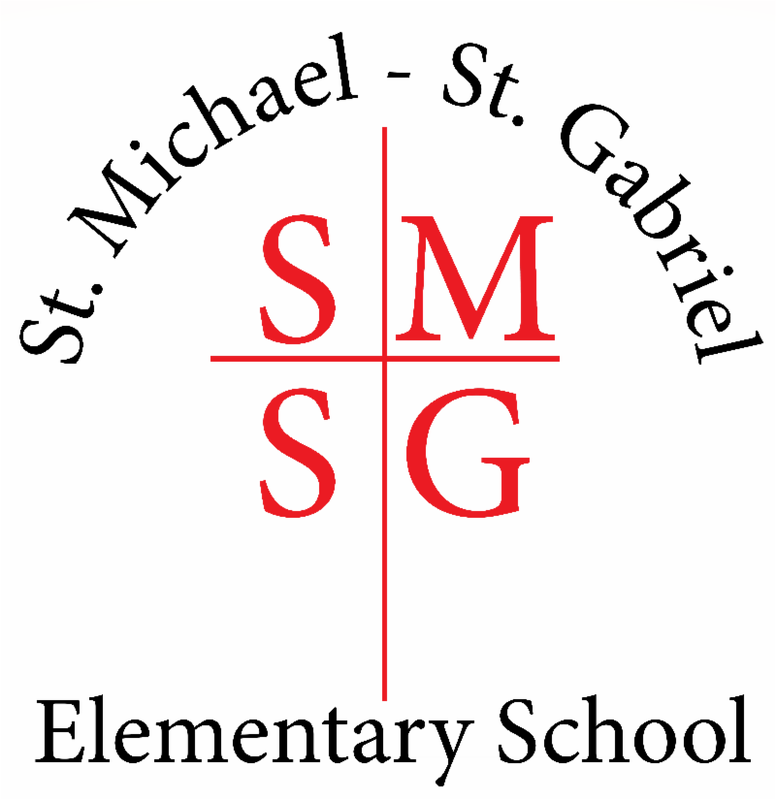 We are in need of parent volunteers to help with the St. Michael Fish Fry on Friday, April 12 . We will need help with food prep and clean-up, between the hours of 5:00-8:30 p.m. 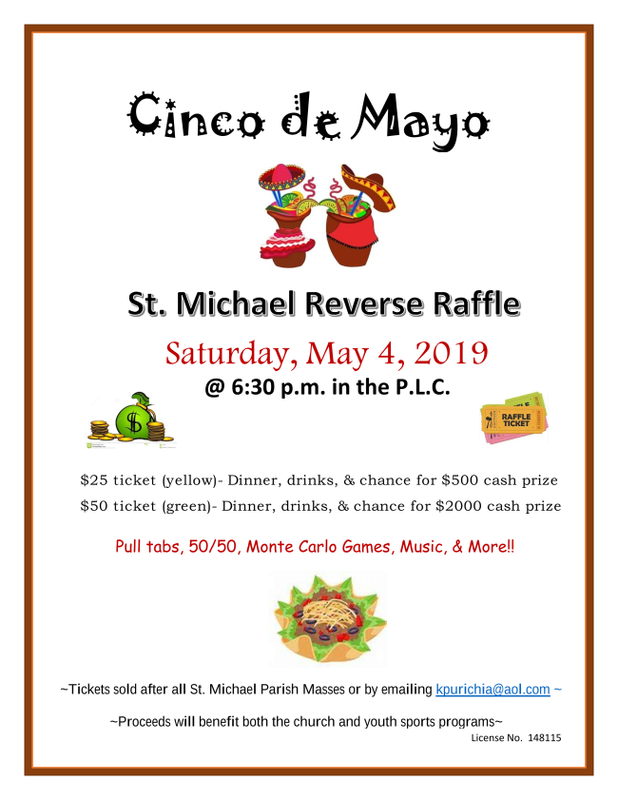 Please contact Mr. Alley or Ms. LaRosa if you are able to help. Several grades are filling up quickly, including 4 th , 5 th , and our Junior High classes, as 89% of our current families have submitted paperwork and the registration fee. 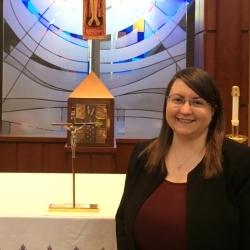 Remember, that in order for a student’s registration to be deemed complete, all paperwork, including parishioner form and updated vaccinations, plus the non-refundable $150 registration fee, must be submitted. If you have any questions about the registration process, please contact the main office. We want to remind parents that students in Grades 3-8 will be taking the state required ILEARN exam beginning on Tuesday, April 23rd. Testing will last through Friday, May 10th. This new exam replaces the former ISTEP+ assessment. We ask that all families be mindful of this testing window and not schedule appointments during these weeks. Our window to test students is rather tight, so it is important that we have students here and to school on time. A detailed calendar will go out later this month. 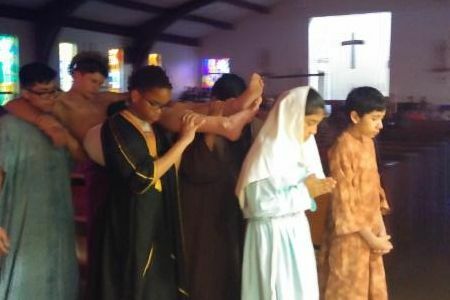 On Friday, April 19th, students and staff will be asked to work in silence as we prepare ourselves for the Living Stations of the Cross at 10:00 a.m. in St. Michael Church. This act of silence has been a tradition of ours for many years, and it is truly a beautiful experience for all who participate. After the Stations of the Cross, we will dismiss around 11:15 a.m., and there will be no after care that afternoon. Please begin to plan ahead accordingly. Remember that there is no school on Easter Monday, April 22nd, this year. The Cardinal Joseph E. Ritter Memorial Scholarship is available for current 8th grade students who plan on attending Cardinal Ritter High School next fall. Applications are due by Thursday, April 18. If you have any questions, please contact Kyle Powers . Our Parent-Teacher Association will be meeting on the following Sundays at 7:00 p.m. in the school cafeteria. As a reminder, parents who attend these meetings receive one hour (per meeting) toward their ten required service hours. 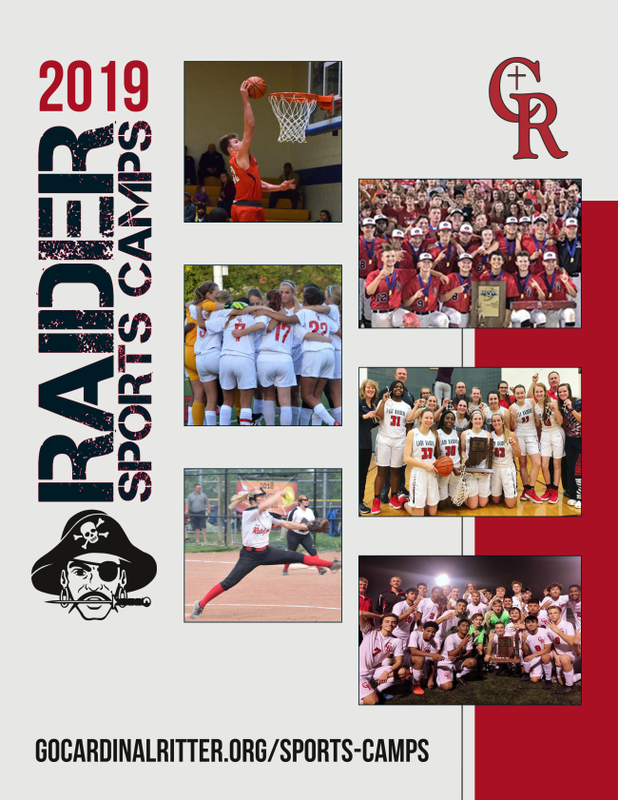 Registration for Cardinal Ritter Summer Sports Camps is now open! Summer Sports Camp Flyer | More details here ! The 21 st Century Scholarship is a program for students currently in seventh and eighth grade. This scholarship program provides income-eligible students the opportunity to earn a scholarship that covers up to four years of tuition and regularly assessed fees, such as technology and health services fees, to several public colleges and universities in the state of Indiana. For those families considering private institutions in Indiana, the scholarship will cover part of the cost to attend these schools as well. Families interested in applying for this scholarship should do so by June 30 th of a student’s eighth grade year. Several of our families have already registered for this program. For more information about this scholarship and how to apply, visit www.Scholars.IN.gov. 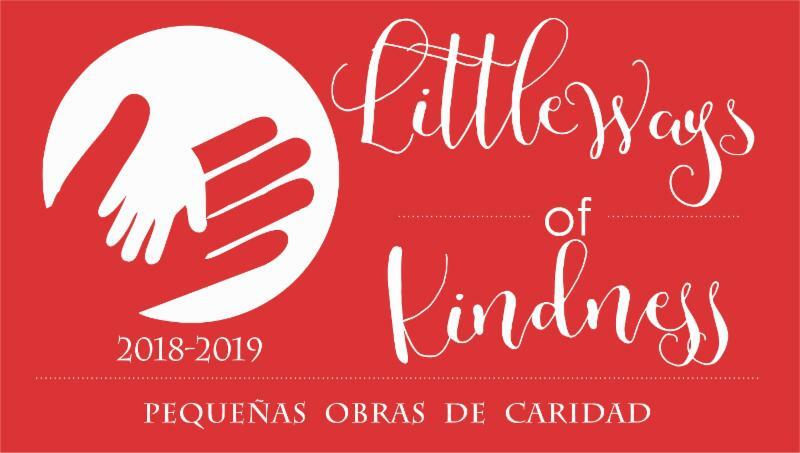 We would like to remind all our families wishing to help with activities where our students are present that individuals must have completed the Safe and Sacred online training and completed a background check in order to volunteer or to serve as chaperones for a field trip. 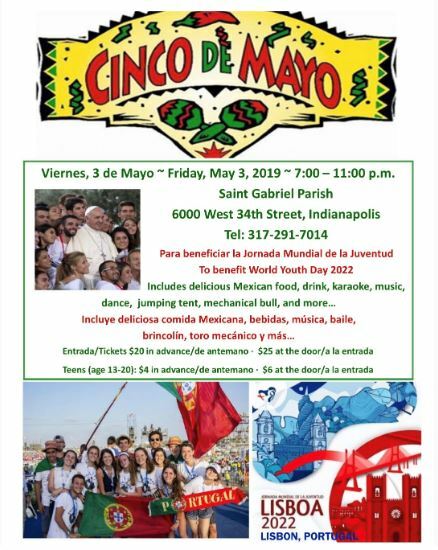 Please understand that until the certificate and background check are on file, we cannot, per the Archdiocese of Indianapolis, allow individuals to volunteer or work as employees of the school without this training and background check completed. If you completed your Safe and Sacred training, but did not complete the background check, simply log in to your account with your password and press the background check to complete the entire process. If you completed your training over a year ago or are unsure of your status, please log in to your Safe and Sacred account to see whether your training and background check are current. All Safe and Sacred certificates will have an expiration date on them, allowing your training to be valid for three years. 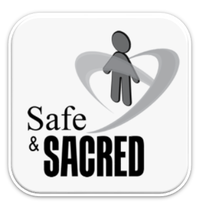 To access the Safe and Sacred website, please go to the following: https://safeandsacred-archindy.org/login/index.php . To place your order for trash bags and help support the 8th grade class, please complete this order form and return it to the main office, or call us at 317-926-0516.